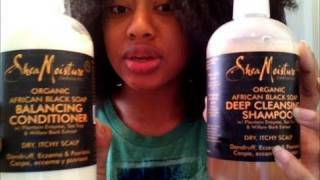 I found this product review video on the Shea Moisture collection, primarily the masque, shampoo, and conditioner products. This product line is very popular and easy to get so it will most likely be in everyone’s collection to a certain capacity; but there are many who have yet to hear about it so here it is. I like how KinkyKurlyQueen gives great detail to the function of each product and even touches upon what ingredients are in it. For the most part the products were rated very favorably, except for the shampoo, which came out to be so-so. Check out this video and let us know if your experience was similar or vastly different than the reviewer’s experience in the comments section below.